At this point, we are well past being able to say, “Here is a great last minute X-mas present idea!,” so now we are simply sharing good deals that you might want to consider. 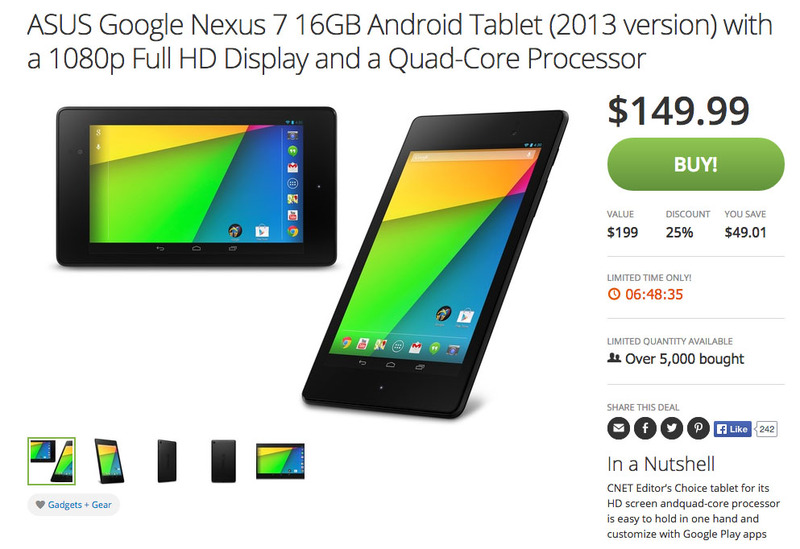 For, the next six hours (at least as I type this out), you need to decide if you need the Nexus 7 (2013) in your life. If you decide that you do, well, then $149.99 is all it will cost you for the 16GB model through Groupon. This tablet may be over a year old now, but you won’t have any trouble finding lovers of Google’s last 7-inch tablet. Originally priced at $229, this tablet was a steal from day one. At $149 for a brand new one, this is just pure robbery.